Allan trained as an architect at The Scott Sutherland School of Architecture in Aberdeen, and after obtaining his Masters in 2005, Allan was quickly snapped up by Watson Burnett Architects of Edinburgh. Until 2009 Allan was enjoying working on a variety of key projects including one off homes and large Military Facilities (for the MOD). However in that summer life changed for Allan (and a lot of others) when he was made redundant during the recession. This was a turning point in Allan’s career. For the next 2 years, Allan worked tirelessly to network and learn how to run a business in such a difficult financial time, setting up his own architectural practice – Allan Corfield Architects Ltd (ACA). Starting off locally, Allan worked on small domestic extensions and conversions. During 2012, ACA secured a number of one-off home commissions and commercial projects, which allowed ACA to move into new offices. Over the coming years, Allan oversaw the growth of ACA to 12 staff working on high-end projects throughout the UK. Allan oversees all design work at Allan Corfield Architects, and leads a number of key projects through all stages of the build. Over the past 5 years, Allan has led the way in the architectural side of the Self Build sector, delivering seminars throughout the UK, and giving key note talks at the Homebuilding & Renovating Shows. Allan has recently become an expert contributor to Homebuilding & Renovating Magazine, with a regular blog spot on the magazine’s website. With interest in Self Building on the rise, it’s important that there are appropriate procedures and regulations in place – so that prospective self-builders are given the best opportunity to achieve their dream home. Allan is a member of the National Custom and Self Build Association (NaCSBA), and this organisation helps to promote Self and Custom Build – which can be a viable solution to the current housing crisis. As the government seeks to find solutions for climate change and address the need for housing, Allan has become an expert in the design of high-performing, energy efficient homes. Becoming one of the top experts in utilising Structural Insulated Panels (SIPs) projects in the UK, Allan has worked on a large number of exciting Self Builds. It was always very important for Allan to help those who want to build their own dream homes. This is why in 2015, he created a Self Build blog to share his wisdom and lead the self builder through every stage of the Self Build process. 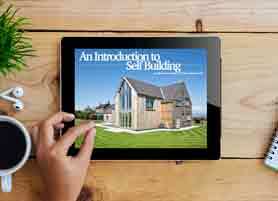 In the years that followed, the blog has grown to one of the biggest Self Build blogs in the UK. Allan’s goal is to become the Wikipedia of the architecture industry by teaching, listening and using the ‘we ask, you answer’ philosophy. Allan’s plans remain ambitious and he is currently planning the opening of his expert video blog about Self Building, providing Self Build Tips and tutorials and personally answering viewers’ questions. After receiving recognition within the architectural industry, Allan was invited to work as an expert contributor to the Homebuilding & Renovating Magazine, with a regular blog spot on the magazine’s website and features in the printed version. His contribution and expertise was further appreciated by an invitation to the Homebuilding & Renovating Shows in which Allan regularly delivers talks throughout the UK. Allan has given a variety of talks at Homebuilding exhibitions – including Designing an Energy Efficient Home, Permitted Development Projects, and Top Self Building Tips. Keep an eye out for him at the following Homebuilding & Renovating Shows in 2018! DO YOU WANT TO BOOK ALLAN FOR YOUR EVENT? 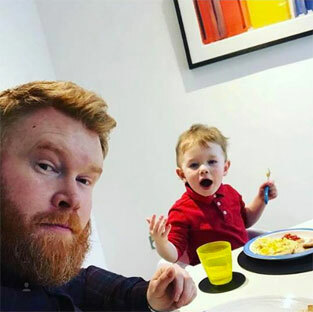 Allan married his partner Emma in 2014, and the couple welcomed their first child, Flynn, in 2015. However, Emma and Allan almost see their 4 year old chocolate labrador, ‘Alfiedog’, as their first born child. Allan enjoys travelling either on business or for pleasure, and when not working enjoys motorsport and following football. If you are interested in Allan’s services as a speaker or you would like him to write an expert article, contact us immediately!